During the 19th century, the U.S. government took ownership of Dakota homelands in Minnesota and the Dakota Territory, leading to increasingly violent conflicts and decades of war. Military and militia forts were built at the physical boundaries of contested space to push “hostiles” west and to protect European American settlers. Fort Wadsworth, constructed in South Dakota during the 1864 Dakota Campaign, and Fort Juelson, built in 1876 by Norwegian immigrants during an “Indian scare” in Minnesota, were both knowingly constructed on top of burial mounds, appropriating and reshaping sacred Native American landscapes into protective enclosures for the dominating, yet fearful, colonizers. Aerial laser scanning, geophysical survey, and historical research explore the archaeological expression and significance of these interlocked landscapes at geographic and cognitive frontiers. Durante el siglo XIX, el gobierno de los Estados Unidos tomó posesión de las tierras ancestrales de los dakotas en Minnesota y el Territorio de Dakota, dando lugar a conflictos cada vez más violentos y décadas de guerra. Se construyeron los fuertes militares y milicianos en los límites físicos del espacio disputado para empujar a los “hostiles” hacia el oeste y para proteger a los colonos europeo-americanos. Fort Wadsworth, construido en Dakota del Sur durante la campaña de 1864 contra los dakotas, y Fort Juelson, construido en 1876 por inmigrantes noruegos durante un “susto indio” en Minnesota, fueron construidos, los dos, intencionalmente encima de los túmulos, apropiando y transformando los paisajes sagrados de los americanos nativos en recintos protectores para los dominantes, pero temerosos, colonizadores. Con el escaneo láser aéreo, el estudio geofísico y la investigación histórica, se exploran la expresión y el significado arqueológicos de estos paisajes entrelazados de las fronteras geográficas y cognitivas. Au cours du 19e siècle, le gouvernement américain s’est emparé des terres natales des Dakota au Minnesota et au Dakota, donnant ainsi lieu à des conflits de plus en plus violents et à une guerre s’étendant sur des décennies. Des forts militaires et de milices furent construits aux frontières physiques de l’espace contesté pour repousser les éléments « hostiles » vers l’ouest et protéger les colons euroaméricains. Fort Wadsworth, construit au Dakota du Sud durant la campagne de 1864, et Fort Juelson, construit en 1876 par des immigrants norvégiens durant une période de « frayeur indienne » au Minnesota ont tous deux été intentionnellement érigés sur des tumulus, s’appropriant ainsi les paysages sacrés des Amérindiens et les transformant en enclos de protection des colonisateurs dominants, quoiqu’effrayés. Des activités de balayage aérien au laser, sondage géographique et recherche historique explorent l’expression et l’importance archéologiques de ces paysages imbriqués aux frontières géographiques et cognitives mentionnées. 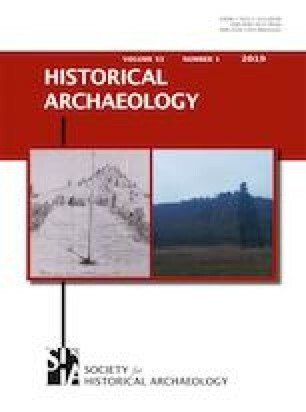 This paper is informed by two CRM projects conducted by Archaeo-Physics LLC: A National Register of Historic Places nomination of Fort Juelson, funded with a Minnesota Cultural Heritage Fund grant administered by the Ottertail County Historical Society, and a mortuary survey of Marshall and Day counties conducted for the South Dakota State Historic Preservation Office. We acknowledge the generous support from these sponsors. Thanks also to our many colleagues in South Dakota and Minnesota, particularly those within descendant communities who have assisted this research, with special thanks to Andrew and Michael Wise, who helped us with all aspects of fieldwork while providing their unique insights and observations. We are also indebted to reviewers of earlier drafts of this paper. Arnott, Sigrid, Geoff Jones, and David Maki 2013 National Register of Historic Places Nomination Form for Indian Mounds Park. Manuscript, National Park Service, United States Department of the Interior, Washington, DC. National Park Service <http://www.nps.gov/nr/feature/places/pdfs/14000140.pdf>. Accessed 1 February 2017. Arzigian, Constance 2008 The Woodland Tradition in Minnesota (ca. 1000 B.C.–A.D. 1750): National Register of Historic Places Multiple Property Documentation Form. Manuscript, National Park Service, United States Department of the Interior, Washington, DC. Minnesota Department of Transportation, Cultural Resources Unit Streamlining Services <http://www.dot.state.mn.us/culturalresources/woodlandtradition.html>. Accessed 1 February 2017. General Land Office Records 1876 Homestead Certificate No. 1422 [for Hans Juelson], 30 August. U.S. Department of the Interior, Bureau of Land Management, General Land Office Records <https://glorecords.blm.gov/details/patent/default.aspx?accession=MN0970__.415&docClass=STA&sid=qfhcbwbm.iab#patentDetailsTabIndex=1>. Accessed 11 March 2015. Long, Stephen H. 1860 Voyage in a Six-Oared Skiff to the Falls of Saint Anthony in 1817. Henry B. Ashmead, Philadelphia, PA. Internet Archive <https://archive.org/details/voyageinsixoared00longrich>. Accessed 30 December 2015. Mahan, Denis Hart 1862 A Treatise on Field Fortification. John Wiley, New York, NY. Google Play <https://play.google.com/store/books/details?id=iiw-AAAAIAAJ>. Accessed 30 April 2016. Mather, David 2004 The Headless Bison Calf: An Archaeological Mystery. The Rake <http://rakemag.com/2004/11/headless-bison-calf-archaeological-mystery/>. Accessed 31 January 2019. Minnesota Board of Commissioners 1891 Minnesota in the Civil and Indian Wars 1861–1865. Pioneer Press, St. Paul. MN. Internet Archive <http://www.archive.org/stream/minnesotacivil01minnrich#page/n7/mode/2up>. Accessed 11 March 2013. National Park Service 2016 U.S. Dept. of Defense, Defense Health Agency, National Museum of Health and Medicine. National Park Service, National NAGPRA Online Databases, Culturally Identifiable Native American Inventory Database, South Dakota/Show Unresolved Only <http://grantsdev.cr.nps.gov/Nagpra/CUI/generate_State_report.cfm>. Accessed 1 January 2016. Vesterheim 2013 Civil War Database. Vesterheim: The National Norwegian-American Museum and Heritage Center <http://vesterheim.org/CivilWar/>. Accessed 11 March 2013.